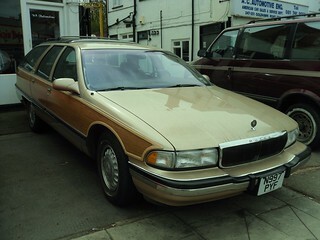 1996 Buick Roadmaster 5.7 V8 Station Wagon. A slightly unusual spot outside of a show, but I managed to stumble upon another American car Garage on the streets, and this one had quite an array of cars parked outside. 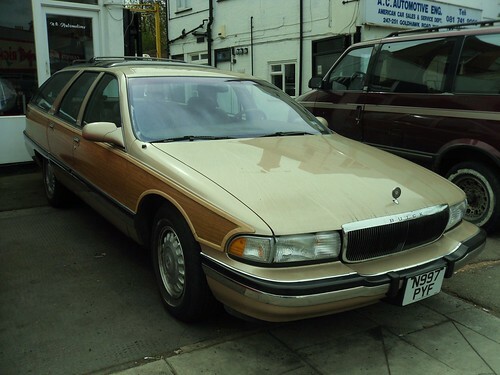 This was my favourite, there is something about this (fake) woodgrain Station Wagons which makes them appealing to me, a classic piece of American motoring really. Quite an outward simularity to the Caprice, I imagine it was built on the same platform?